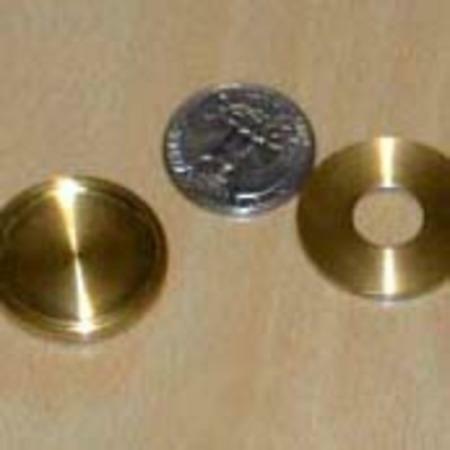 ProductsMoneyQuartOkito Coin Vanish by Viking Mfg. QuartOkito Coin Vanish by Viking Mfg. Imagine having a coin marked, then placed into a small brass box, the coin being visible at all times. Then you hand a spectator a small wooden box or another brass box to hold. Next, you pick up the brass box containing the marked coin and simply allow it to fall into your hand. The moment it hits your hand, the coin vanishes! Now imagine that the spectator opens the box he has been holding and inside he finds his marked coin! 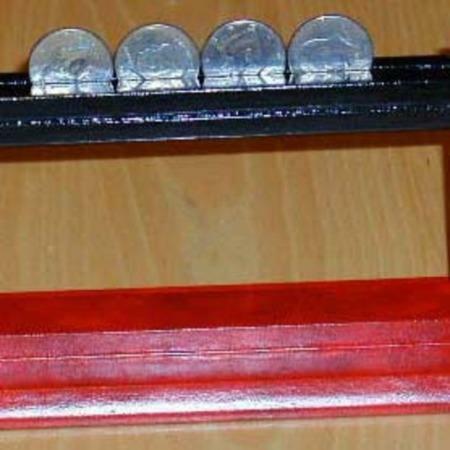 Why imagine this when you can really do it with our Viking-original QuartOkito Coin Box. Read the description again. It’s all true! 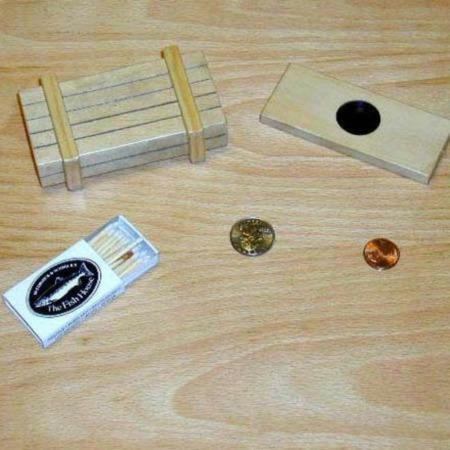 Use this in combination with our Quarter Go Box. 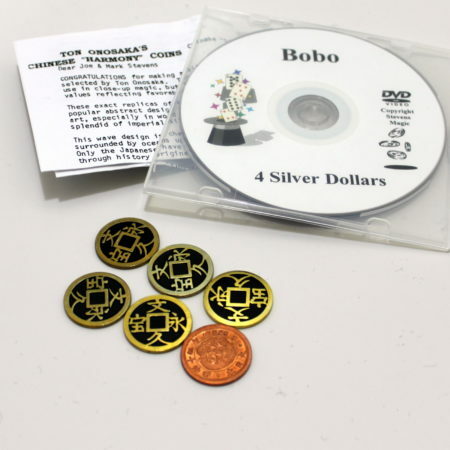 SKU: 676 Category: Money Tags: Image Size: Medium, Okito Coin Box, Released: 1954, Released: 1967, Released: 1975, September 2000, Sold, The 1950's, The 1960's, Updated, Video Demo, Viking Mfg. Click to buy from Dealer. Read more about Viking Mfg. here.